Epic President: "The Money's On Console"
Epic Games President Mike Capps says the studio switched from PC to console development because "the money's on console" and that the future of the PC market lies with games like Farmville. Epic began life in 1991, releasing several popular DOS-based games before making a serious splash with the 1998 release of Unreal, which quickly morphed into the popular Unreal Tournament franchise. But in 2006 the studio put out Gears of War for the Xbox 360 and everything changed as PC development took a back seat and has now faded out almost entirely. It's a state of affairs the Epic president makes no apologies for. "If you walked into [Epic's Offices] six years ago, Epic was a PC company. We did one PS2 launch title, and everything else was PC. And now, people are saying 'Why do you hate the PC? You're a console-only company'," he said in an interview with Edge. "Guess what? It's because the money's on console." Capps said that piracy, which he fingered back in 2008 as responsible for the near-death state of PC gaming, has had an irreversible impact on the state of the industry. "We still do PC, we still love the PC, but we already saw the impact of piracy: It killed a lot of great independent developers and completely changed our business model," he explained. Because of that, the PC as a platform may not be dead and buried but he predicted that core gamers shouldn't expect too much from it in the future. 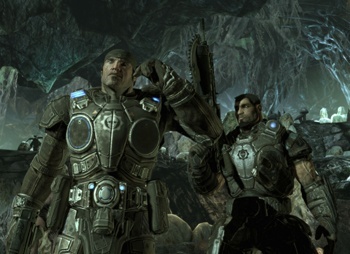 "Maybe Facebook will save PC gaming," he said, "but it's not going to look like Gears of War."